A huge thank you goes to our sponsors of this year’s final! Read some further information about the sponsors behind the final of SAILING Champions League. Surrounded by a breathtakingly beautiful, unspoilt landscape, Badrutt’s Palace has been a landmark in the heart of St. Moritz and enjoys an international reputation. Since its opening in 1896, the Badrutt’s Palace Hotel offers 120 rooms and 37 suites with exceptional views of the Swiss Alps and the lake. The hotel cultivates exclusive style, sports, cooking and fashion. With discreet service and traditional elegance, it pampers all guests in an atmosphere of exquisite luxury. DKSH is the leading Market Expansion Services Group with a focus on Asia. DKSH helps companies who are looking for a reliable outsourcing partner to grow their business in new or existing markets. For this, DKSH offers a comprehensive package of services that includes organizing and running the entire value chain for any product: from sourcing, market analysis, research and analysis, marketing and sales to distribution and logistics and after-sales services. Headquartered in Zurich, DKSH blends Swiss reliability, professionalism and best practice corporate governance with 150 years of uninterrupted business presence in Asia. DKSH provides our business partners with sound expertise, on-the-ground logistics and tailor-made services based on a comprehensive network of unique size and depth. As the market leader in business software, SAP is at the heart of the current technology revolution. Innovations from SAP enable 388,000 customers in more than 180 countries to work together efficiently across the globe. And SAP is changing the world of sport, too. With products targeted at specific audiences, SAP supports performance improvement on the field, redefines the fan experience both at the stadium and at home, and helps simplify the processes for athletes, trainers, leagues, and stadiums. Today, SAP works successfully with many elite-level sporting organizations and associations covering sailing, golf, Formula 1, American football, baseball, tennis, basketball, and football. 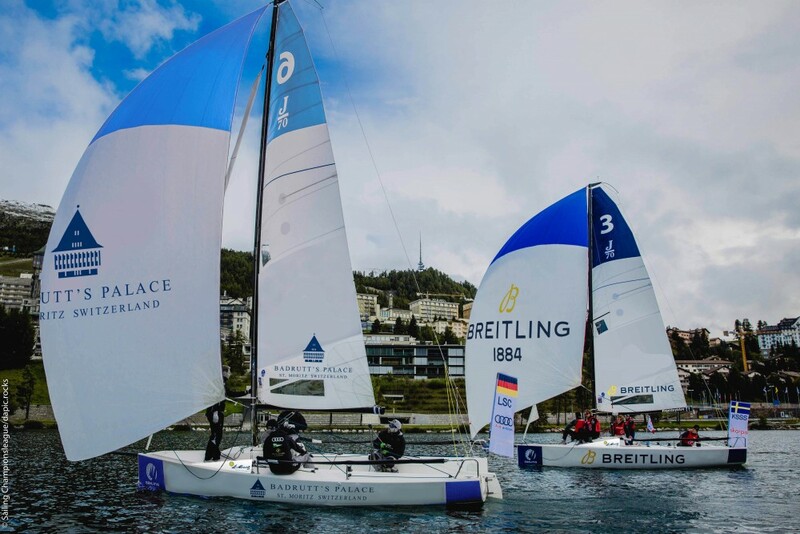 SAP Sailing Analytics has become the new standard technology in competitive sailing and is deployed at top international events. The friendship between sailing mates formed the basis for the establishment of the company in 1991. The three guys from Munich took up the challenge and what seemed tilting at windmills in early days turned into a success story. The company and the Marinepool brand grew and went international. The global success of Marinepool can be attributed to several factors. The support of countless friends, yacht clubs, sailing federations and world class athletes from all over the world is one vital part. Marinepool came a long way from a small importer of deck shoes to one of the leading sailing clothing and life jacket brands and successful maritime lifestyle label.